Real Madrid got held to a 1-1 draw last night in "La Romareda" and failed to cut distances to Barcelona in the Spanish League standings. Cristiano Ronaldo scored the lonely goal for the Merengues from a left-foot strike, but it proved to be insufficient to get past Zaragoza and picking the 3 points from the Aragon region. Nothing new in La Liga, as Real Madrid wasted another opportunity to close the gap to Barcelona, after drawing 1-1 against Zaragoza. The Merengues never seemed to be totally focused in last night's game, which is easily understandable if we have in mind that the Champions League action returns next week, with a capital clash against Galatasaray. 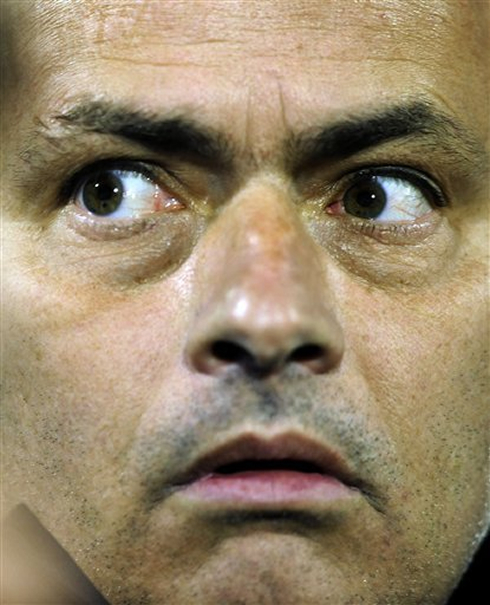 José Mourinho rested several usual starters, but decided to play Ronaldo upfront the whole game, as he knew the Portuguese star could make the difference even when the team doesn't play well at all. 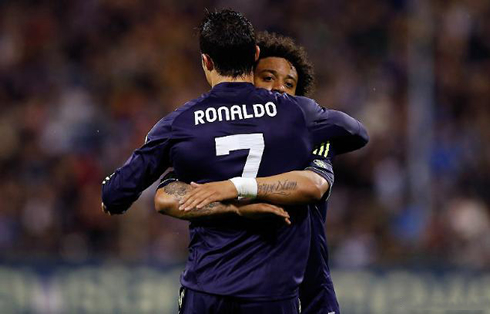 It was precisely Ronaldo who scored the only goal for the Merengues and alongside with Diego López brilliant display, the game didn't provide many other positive notes, at least not from a Real Madrid standing point. Zaragoza started the game with a clear intention of making a statement as early as possible. Contrarily to the Merengues, the league continues being the home side's top priority, a fact that normally dictates a completely different attitude and mindset, which ends up making all the difference on the pitch. The opener arrived still inside the first 10 minutes of the game, when Modric failed to control a bouncing ball and allowed that Apoño passed it through to Rodri. The 23-years old attacking midfielder was keen to explore a huge gap in Real Madrid's defence and led himself to a 1-on-1 situation against Diego López. With such a golden opportunity to put his name on the scoresheet, the Spanish player kept his composure and finished it off with class, putting Zaragoza on the lead for the first time on the night. Obviously, the Spanish champions reaction would come from no other than Cristiano Ronaldo himself. The Portuguese striker picked up a pass from Gonzalo Higuaín, won a loose ball challenge against two Zaragoza defenders and struck the ball with power to the near post. 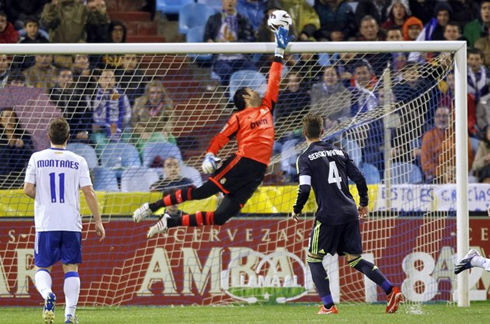 Zaragoza's goalkeeper Roberto found himself poorly positioned on the goal line and couldn't reach out to the ball in time to stop it, which allowed for Ronaldo's equaliser to level the game at 1-1. However, that goal didn't exactly motivate the Merengues for a better display in the remaining period of the game and it was only thanks to a great performance from Diego López that Real Madrid ended leaving "La Romareda" with one point in the bag. Barcelona also tied 2-2 this Saturday, which means that the distance to Real Madrid will remain at 13 points. In the other hand, Atletico Madrid will be given the chance to retake the 2nd spot if they manage to win their game tomorrow, against Valencia, in the Vicente Calderón. As for Real Madrid, all focus will now be put on next week's game for the UEFA Champions League quarter-finals first leg, against Galatasaray. Diego López is expected to continue being the starting goalkeeper, even though Iker Casillas has already resumed training by now. The only doubt for this Wednesday clash lies on Varane's physical condition, since the French defender has picked a minor injury during his call for the French National Team in the past week. Fortunately, there are no problems in the midfield and attacking sectors of the team and Cristiano Ronaldo will surely look forward to extend his impressive goal average in the competition, since he is currently tied with Galatasaray's Burak Yilmaz as the top goalscorer, with 8 goals each. 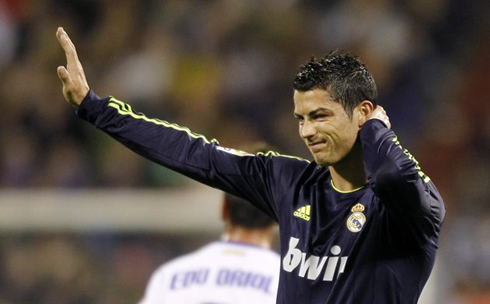 Cristiano Ronaldo next game for Real Madrid will be against Real Zaragoza, on March 30, 2013, for La Liga. You can watch Juventus live stream, Real Madrid vs Galatasaray, PSG vs Barcelona, Aston Villa vs Liverpool and Bayern Munich vs Juventus, all matches provided from our football live section.